(Prepared Foods) – In 2018, food expert, Mareya Ibrahim is returning to food basics, going in deep with collagen and rediscovering the cherry. 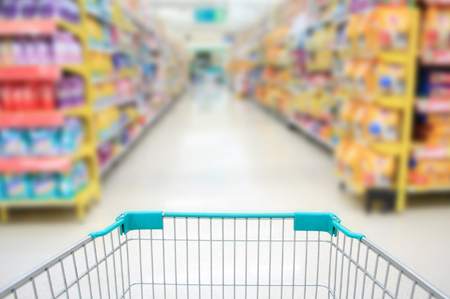 This year, she suggests that consumers trust their gut and navigate the aisles with confidence. We all know the importance of filling up on fresh fruit and veggies. But by the time these yummy morsels arrive on our plates, they have already lost a ton of nutrients – up to 77% of Vitamin C within just a week of harvesting, according to the University of California, Davis. The solution? “Living” produce! All over the country, this ultra-fresh option is popping up at local markets. These are veggies still attached to their roots to help maintain nutrients and prolong shelf life. According to Pete’s Living Greens, their escarole, endive, cress and lettuce blends last up to 18 days, compared to an average 3-5 days for your typical bagged salad. Roots-on varieties are grown hydroponically and without the use of insecticides, making them a healthier, more eco-friendly choice. For an even fresher take on homegrown taste, companies like Agressively Organic allow you to cultivate up to nine veggies in one foot of space with a hydroponic growing kit. You can harvest your very own nutrient-rich salad anytime you’re ready to eat. “That’s Cherry” will take on a new meaning in 2018. Different from your everyday sweet, dark cherries, tart cherries are sour, small and bright red. Little but mighty, these berries have one of the highest ORAC scores – topping blueberries, pomegranate juice and tea by almost triple – with a mega boost of anthocyanins to battle free radicals and repair cell damage. Tart cherry is also known to reduce pain and inflammation, and help with post-exercise muscle soreness. Also a natural source of melatonin, you can now replace your sleeping pill with a deliciously tart alternative. Available in many forms – fresh, frozen, dried, chocolate covered, concentrated powder and juice – look for it in baked goods, jams, sauces and beverages, with companies like Cheribundi offering a variety of ready-to-drink juices featuring the tart little powerhouse. Tart cherry filled gourmet donuts, anyone? Mareya Ibrahim, aka The Fit Foodie is an award-winning entrepreneur, chef, author, patented inventor and 26+ year food industry veteran. She is the founder and CEO of Grow Green Industries, Inc., the makers of the patented eatCleaner product line.